Multidisciplinary work is part of everyday life of any resident; living among Medical Doctors in training for Public Health could isolate us from the different perspectives that exist out there. One of the efforts of Euronet is to connect the residents of the member countries, but also to build bridges between other groups, teams and associations related to Public Health. 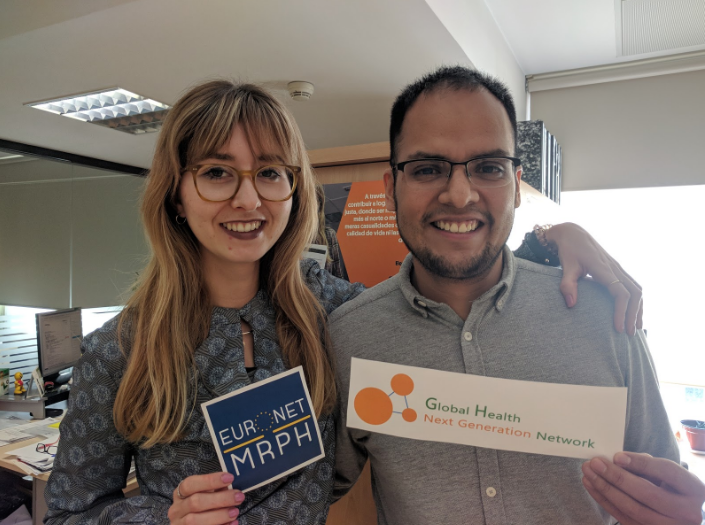 One example is the Global Health Next Generation Network (GHNGN), which in a short time has created a network of working groups, some with common objectives with Euronet, such as empowering young professionals in trainee with practical tools. The network was created in Barcelona, with students of the Master of Global Health at the University of Barcelona, with the aim of having a platform so that young professionals from different cultures and backgrounds can network and exchange Global Health expertise and skills; to promote trans-disciplinary teamwork, to help each other out in the transition from academic to professional careers in global health, to initiate and foster dialogue on Global Health education and to support engagement of young professionals in Global Health initiatives and projects worldwide. Currently, there are approximately 30 people in the team, working from 15 different countries. There have been some attempts to bridge in the last years. But it was this 2018 winter, when members of Euronet and GHNGN gathered in Barcelona and pushed forward on partnering. Some ideas flew on our first exchange of emails like ‘Social media visibility’, ‘Inviting speakers from Euronet for the Global Health Forum‘, ‘nominating a Global Health Ambassador’, ‘Writing a blog/career story about people on each organization’, ‘Exchange of expertise’, ‘Internships´, etc. The official presentation of the GHNGN to Euronet members was made in March, at the meeting of Nancy. In the assembly there was general approval to draft an agreement for the next meeting. This beautiful story has the next date next July in Valencia, where some members of the GHNGN will visit us to make a formal presentation of their network, pitch some ideas and party with us at our meeting organize by Euronet Spain.